With a nice forecast for easterlies and a favourable tide to get us around the corner of Gibraltar, we got up at 6 o'clock to do the last leg out of the Mediterranean. Very dark at that time, it nearly felt like a working day! At 7:30, after a leisurely breakfast, because it should not really be a working day of course, we slipped our mooring... and nearly collided with an Italian who moved out two berths away. They were clearly not very awake yet either. But the rest of the whole day we saw only three other boats. And again no dolphins! At night we had fireworks again: little lights in the water in the toilet bowl. I thought this only happened in warm water, but the water here has no nice swimming temperature. 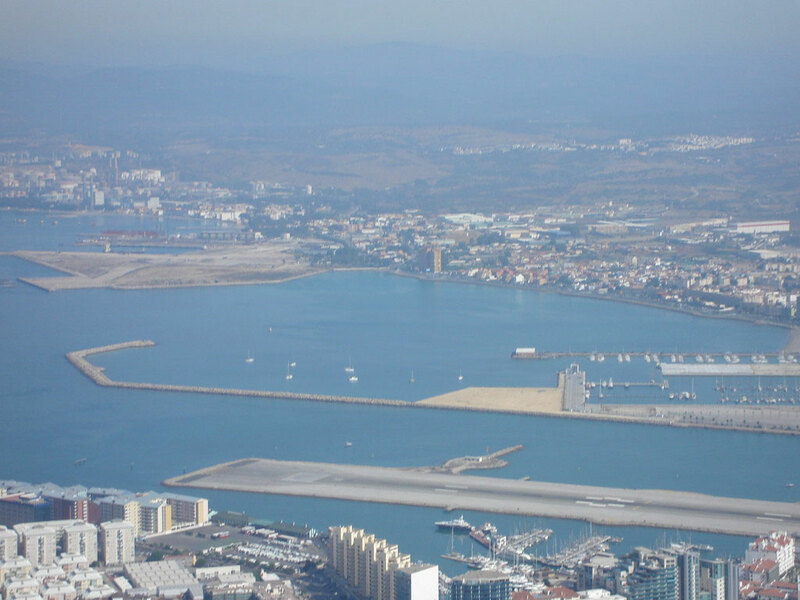 We had heard rumours how it wasn't allowed anymore to anchor at La Linea since the new marina was in operation and so we were curious to see what would happen. Some 4 boats were anchored in the shelter of the breakwater, which might be considered inside the marina area and we decided to anchor further off. And so we spent three days at anchor, rolling in the swell from the westerly wind and being a bit envious of the quite motionless boats behind the breakwater, but we thought we might be left alone if anchored well away from the marina. One morning we saw a fast Guardia Civil boat approaching from the other side of the bay and so we hid inside and waited. And waited. And spied out of the porthole to see how the Guardia Civil boat just stayed put in the entrance of the marina, doing nothing for more than an hour. Then a colleague boat appeared and towed it away! And so we had spent three rather uncomfortable days (and rather unnecessary uncomfortable), but then we wouldn't know how it would go. 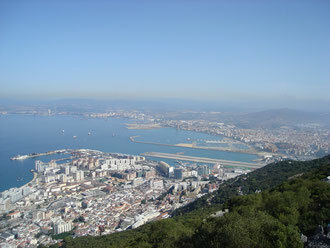 La Linea anchorage zoomed in. This was taken about a week after we'd been sent away. So meanwhile new boats were trying their luck. And of course the very next day the wind turned East and the anchorage would have been so lovely. We had really looked forward to spending some time here, finally away from marinas. 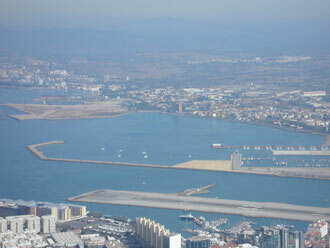 It is a shame that this place is gone now as well as many other anchorages in Mediterranean Spain. Two years ago we had spent several weeks here, with the occasional marina days in between for easy shopping and sightseeing. It had been quite crowded, also with many long stay anchorers, but it had been nice to be among many different nationalities and to relax in a rather safe though sometimes not so comfortable bay.